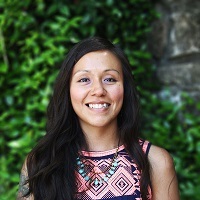 Rocío Villalobos joined Westcave in December 2018 as the new Program Manager for the Children in Nature Collaborative of Austin. Rocío is an Austin native and graduate from the University of Texas at Austin, where she obtained her B.S. and M.A. in the field of education. Over the past decade, Rocío has worked to advance various social justice issues as well as support young people’s leadership development in the Austin area. She began volunteering as a Mentor with Explore Austin in January 2017 and started her own outdoor adventure group for women of color the same year. Rocío brings a commitment to equity and joy to Westcave and CiNCA and to her volunteer work in the community.